Common Home Electrical Problems - United Electrical Contractors, Inc. When it comes to using electronics in your home, you should always do whatever is necessary to ensure the safety of everyone in your household. There are many signs involving your electronics and appliances that can indicate that you have an electrical problem in your home. Identify issues from the information below to find out if you are dealing with a common home electrical problem and seek solutions to fix the problem. One common home electrical problem involving light bulbs is that they can burn out at a high rate. Some light bulbs might flicker or blink. If replacing the light bulb does not get rid of the problem, the issue might be with the light fixture itself. This could mean that there is a poor connection in your electrical circuit. If the blinking is occurring across a wide range of light bulbs in your home, the trouble could be with a main electrical wire connection. There can also be issues with the consistency of light brightness. If some lights around your house appear too dim and others appear too bright, it could be because you have different light bulbs with different wattages, or you have a bad main neutral connection. If the latter is true, you will need to consult a professional to fix the problem. Another common home electrical problem occurs when you have dead outlets or outlets that only half work. A more serious problem related to outlets is when plugs fall out of them. This can be very dangerous because it indicates a loose connection. Loose connections can produce excessive heat and can possibly lead to sparking that can cause a fire. To fix this problem, remove the faulty outlet and replace it with a new one as soon as possible to avoid the dangers of electrical fires or electric shocks. Electrical surges can result from multiple causes including lightning strikes, damage involving nearby power lines, defective household appliances, and faulty electrical wiring in the house. If you experience frequent electrical surges in your home, the electrical units connected to your home might experience significant damage and a decrease in their life expectancy. 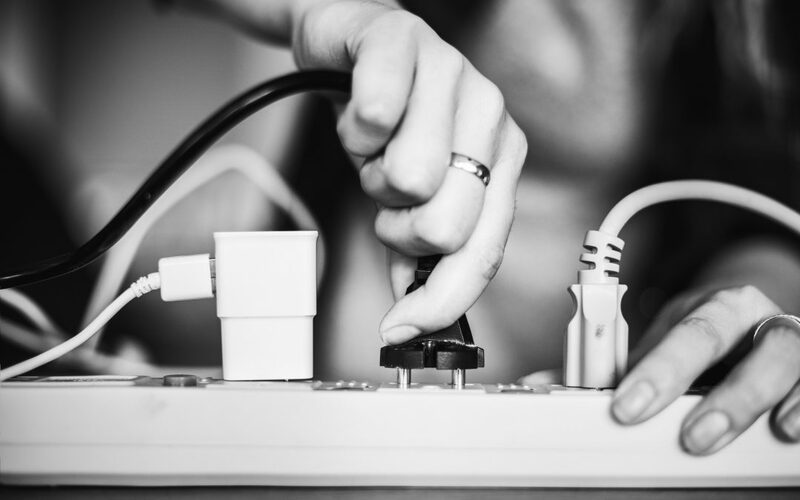 The source of these frequent electrical surges might be traced back to an electrical device that is connected to your home grid or the electrical wiring in your home. To stop this from happening, try removing any outdated devices or circuit boards from the outlet. If this still does not fix the problem, consider calling a professional electrician to avoid more damage to the electric wiring in your home. Electrical appliances such as microwaves and hair dryers that require a high amount of energy to run properly are notorious for tripping circuit breakers, particularly when there are multiple devices connected to one source. To help fix the problem, investigate what appliances you were using when the trip occurred. For example, if you were using your hair dryer, consider using it on a lower setting to save energy. Also, try to limit the number of high-power devices being used at one time. Circuit breakers are designed to trip intentionally to signal that there is an issue and protect you and your home so if it does trip, that is a sign that it is doing its job. Do-it-yourself remedies are not recommended when it comes to solving electrical problems in the home. If you frequently experience any of these common home electrical problems, you should consider contacting an electrician. You should always feel safe in your home so get in touch with a professional to help ensure peace of mind involving all of the electrical equipment in your home.